The history of the Arabian American Oil Company, or ARAMCO (now Saudi ARAMCO) was always lurking around my childhood home, in the form of history and coffee table books that the company produced to document its own meteoric rise. Yet my interest in the subject didn't arise until more than twenty-five years after my father's retirement from the company, where both he and my grandfather worked for several decades. For years, I dismissed my childhood on the oil compound as inauthentic—that somehow my family's story was illegitimate because of its neocolonial origins. Now I see that, for a writer, the subject of ARAMCO's rise is solid gold—rich and fascinating, and tied directly to the fates of two nations, Saudi Arabia and the United States. I've absolutely loved immersing myself in the research for my novel-in-progress, from which "The Pearl Diver's Son" is extracted, because the subject feels at once familiar and radically new. My understanding of my childhood has been enhanced and complicated by my research, which puts my family's time in Saudi Arabia into a global and historical context. For the novel, I've read dozens of books about Aramco and Saudi history, including a marvelous oral history of the company. I've also interviewed several family friends and acquaintances, both Saudi and American, to gain a more complete portrait of the everyday work dynamics within the compound. And I finally got around to reading those coffee table books, which always seemed so dry up on the shelf and have proven to be, in fact, quite riveting. I feel so fortunate to have this material, and it is my hope that my novel honors the great subject with which it engages. I admire the way you balance the two perspectives, Mercy and Illa, in your novel The Unraveling of Mercy Louis. At first the girls are not really part of one another's worlds, but then their stories coalesce due to the town's witch hunt against all teenage girls, and a connection between their mothers. What were the challenges of moving between these two different perspectives? Thank you for saying that! I know that shift drives some readers crazy, but I felt it was necessary for Mercy's perspective to feel extremely close, almost claustrophobic, so that the reader could more viscerally experience her descent into madness. And by contrast, I wanted Illa's third person point of view to give the reader room to breathe, as well as an outside impression of Mercy's life and family. It wasn't a challenge to write because it felt natural and true to the characters; but I understand the challenge it presents to readers and am always glad to hear when people appreciate the choice. In "Writing Out of Rage: How Sexual Politics Inspired The Unraveling of Mercy Louis" you note that you were a "flaming nova of fury while writing" this second novel, which I felt translated into a sense of immediacy and urgency in the novel. What was the writing process like, and how did you manage the worry and stress surrounding the election in order to be productive and create a story? Both my novels have helped me to process situations in which I felt powerless, to gain a sense of agency by examining subject matter that frightened and disturbed me—terrorism in THE RUINS OF US, and this country's ongoing misogyny in THE UNRAVELING OF MERCY LOUIS. Though writing can feel like a cloistered act when you're in the process of doing it, the truth is that books can and do change the world, or at least, our understanding of the world, and I believe that writers have an obligation to examine the societal failings or hypocrisies that cause us harm. Writing books was a way to channel anger and anxiety into a productive act, to feel that in some small way I was speaking truth to power. I've noticed in much of your writing location is more than just the backdrop of the story—it is interwoven with the motivations, fears, and hungers of the characters. Are you inspired by locations or do you choose them as vehicles for certain narratives? My first novel was absolutely inspired by Saudi Arabia—in fact, place was about all I had when I first started writing the book. I considered Saudi Arabia my home, and yet due to travel restrictions, I wasn't able to return after my family left in 1992. So, writing the novel was a way to bring Arabia back to life in my mind, to revisit the place to which I felt such strong attachment. With MERCY, the story of a group of high school girls suffering from mass psychogenic illness came to me first, and I had to consider what the right setting would be. I chose a Southeast Texas refinery town because outbreaks of so-called mass hysteria often occur in places where people are also rightfully fearful about environmental factors causing health problems—a fear that exacerbates the hysteria. The folklore and superstition that are a strong part of Cajun culture seemed perfectly suited to the story I wanted to tell. I'm from Texas, and have always found that part of the state to be a world unto itself, more akin to South Louisiana than Texas. I relished the swampy setting and enjoyed discovering ways that it could come alive to influence the story. Finally, I am interested in learning if you are currently working on or planning for a new writing project? I'm working on a novel titled I SING OF YOU, a modern retelling of the Majnun Layla story, which is the Muslim world's Romeo and Juliet. The star-crossed lovers are a Saudi boy and American girl who are raised together on an Aramco oil compound, whose lives are tragically altered by the meddling adults in their lives. Through these characters, I examine the story of the American-Saudi "special relationship" as embodied by Aramco—the compromises, betrayals, and joys of one of the most influential and perplexing cultural partnerships of the twentieth century. "The Pearl Diver's Son" is an extract of the novel. KEIJA PARSSINEN's "The Pearl Diver’s Son" can be read in the Fall 2018 issue. She is the author of the novels The Ruins of Us and The Unraveling of Mercy Louis. She is the recipient of a Michener-Copernicus Award and an Alex Award from the American Library Association, and fellowships from Yaddo, the Truman Capote Trust, Playa Summer Lake, the Oklahoma Center for the Humanities, and the Writers’ Colony at Dairy Hollow. Her writing appears in Slice, Salon, Five Chapters, New Delta Review, The Brooklyn Quarterly, the Lonely Planet travel anthologies, and elsewhere. A professor of creative writing at the University of Tulsa, she lives in Oklahoma with her husband and sons. 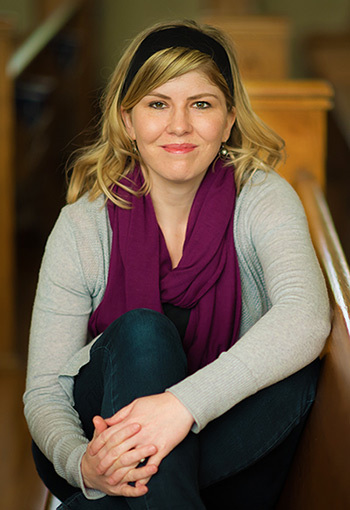 JOY CLARK is an MFA candidate at the University of Arkansas in Fayetteville, where she serves as the Fiction Editor for the Arkansas International and as an intern for Tin House Publishing. Her work can be read in places such as Juked and Oblong, and in 2017-2018 she was awarded the Walton Family Fellowship for Fiction.